As a Senior Leader in the Air Force, Eric led organizations with up to 2,500 personnel and directed a $600 million acquisition budget. He concluded his career returning to active duty serving on the Joint Chiefs of Staff, Strategic Plans and Policy Directorate as the deputy Director Politico-Military Affairs, Africa. Previously, he served as the Air National Guard Assistant to the Commander for United States Air Forces in Europe and Air Forces Africa. In this role he directed the full-spectrum war fighting air, space and cyber operation capabilities of the Air Reserve Component to support Combatant Commanders throughout Europe, Africa and parts of Asia encompassing 110 Countries. In response to strategic reductions in Air Force personnel, he created new models to bring cost effective mechanisms to leverage Reserve forces to support increased and sustained operations tempo. As Commander of the West Virginia Air National Guard (ANG) and Director of Plans and Requirements at the National Guard Bureau in the Pentagon, he oversaw the ANG/Air Force Reserve Test Center (AATC). His tireless efforts over three years grew the “business” of the ANG’s National Guard/Reserves Equipment and Readiness by 42% ($175 million) in annual funding to meet the emerging requirements in Domestic Operations, Cyber and ISR. In this capacity, he managed 32 contracts, and supported 70 military personnel and government civilians and defense contractors. AATC’s growth is a direct result of Eric’s ability to skillfully engage with congressional leaders and staff and expertly leverage the Department of Defense Acquisition process. Critical operational testing successes of the AATC include: F-16s Block 25/32, F-16s Block 40/42, A10s, B-52, F-15A/B, HH-60, HC-130 and electronic combat systems for those aircraft, and Air Mobility Command C-130, C-141 and KC-135 aircraft. Eric’s civilian experience encompasses 25 years in the IT/acquisition technology field, serving at all organizational levels from Systems/Software Engineer to Program Management to Executive Leadership. He is currently the Managing Director for Heyer America, a private medical technology and manufacturing firm where he is responsible for the Western Hemisphere and creating the company’s strategic technology initiatives. His strength is identifying and developing cutting edge R&D initiatives that support business and growth objectives for the organization, and he developed a comprehensive outsource and growth strategy and implementation plan in China, including a Six Sigma quality plan. 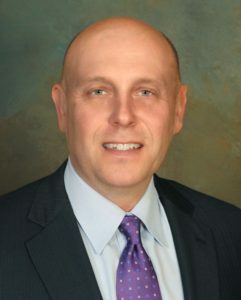 Prior to his position at Heyer America, he served as the Director of New Programs for South Carolina Research Authority (SCRA). There he played a critical role in growing the company from $32 million to $136 million in six years and forged new corporate alliances to provide innovative and creative solutions for government clients and won new anchor multi-year programs. His early career includes Program Management and Systems Engineer positions with Lockheed Martin (GE Aerospace heritage). Eric earned an M.B.A from George Washington University and a B.A. in mathematics from The Citadel. He also completed the Capstone General and Flag Officer Course at the National Defense University, a Senior Executive Seminar at the George C. Marshall Center in Garmisch, Germany, and the Executive Education Program for IT Professionals at Oxford University.